As more states enact policies requiring digital instructional materials and districts embrace online learning, it is critical that all students have an equitable education environment. 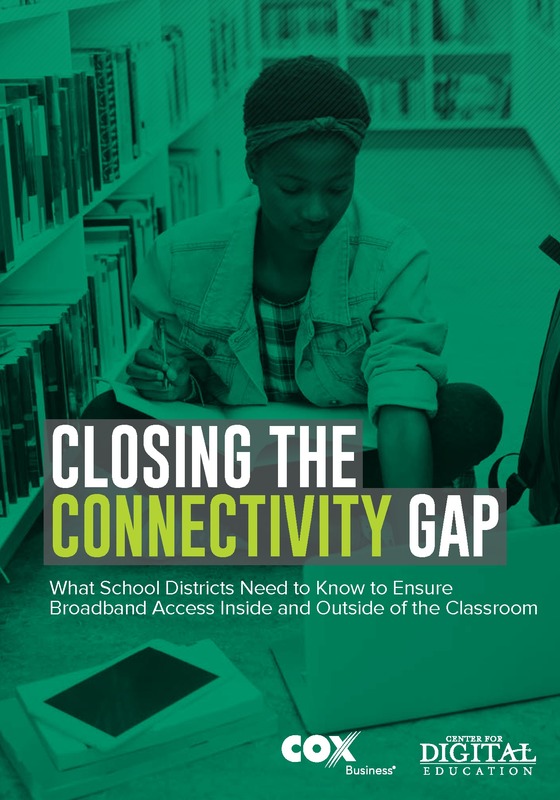 To address the issue, school districts must not only build the appropriate infrastructure to deliver adequate connectivity to their classrooms, but also must work to ensure all students have access outside of the classroom. While there is no magic bullet, many districts have implemented innovative solutions to address this need. The Center for Digital Education conducted research and convened education leaders at three roundtables in Omaha, Neb., Baton Rouge, La., and San Diego, Calif., throughout 2018 to learn best practices and innovative ideas that have helped close the connectivity gap. This guide is a culmination of those efforts and helps answer some of education leaders’ most pressing connectivity questions.